The buddy desk seats two children on the extra-wide 30.5" seat, or one child can sit in the center of the seat and use the computer. 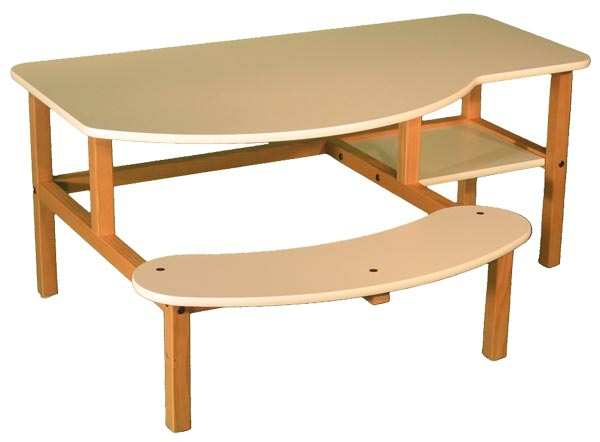 The 19" height of the Pre-school desk is recommended for children 2 to 6 years old. The 23" height of the Grade School desk is recommended for children 6 to 10 years of age. With the Buddy Growth Kit, the Pre-School Buddy Desk can be upgraded to the 23" height as your child grows. Buy the CPU/Printer Stand for extra flexibility!